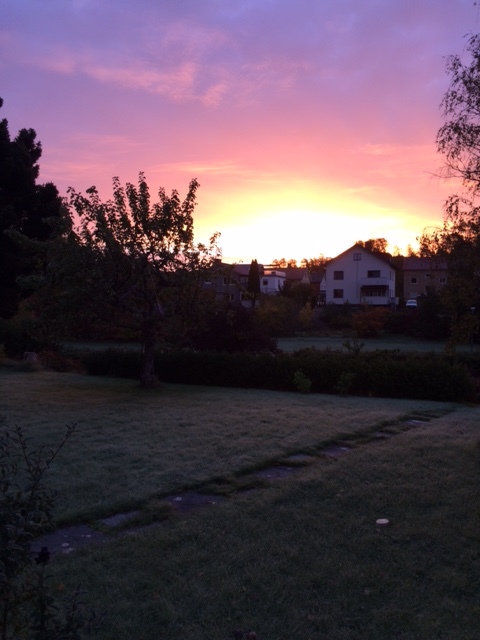 Grow Gothenburg > Inspiration > Want Your Dream Garden, But Have Little Time? 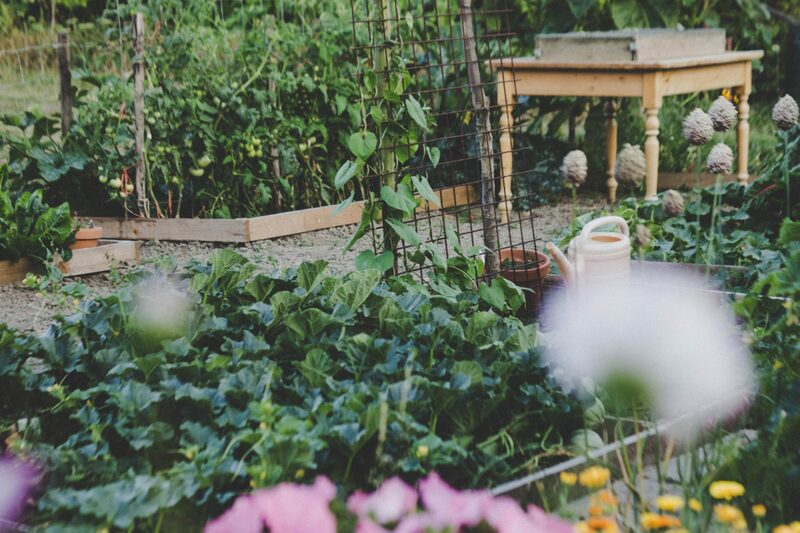 Many dream of owning a lush garden, producing generous harvests for the family. But with full-time jobs, it could seem like an overwhelming task. So how can we achieve our dream garden, despite our hectic everyday life? 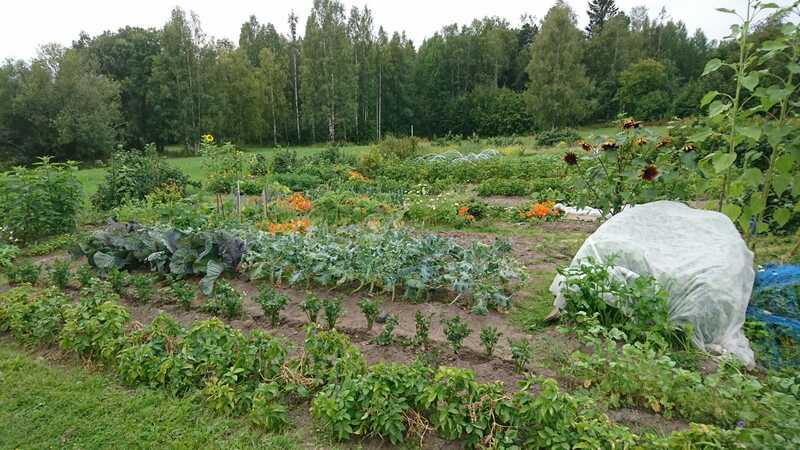 In this article you can read about the benefits of sharing land, and the story of Karin and Frida – a garden owner and a grower who found each other through GrowGbg. Collaboration is key. Find a grower! 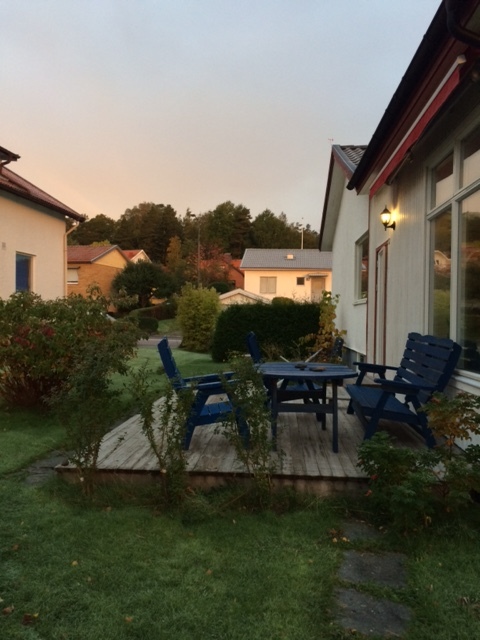 There are many growers in Gothenburg that are looking for spaces to grow on, and there are many villa owners that have available land to grow on. 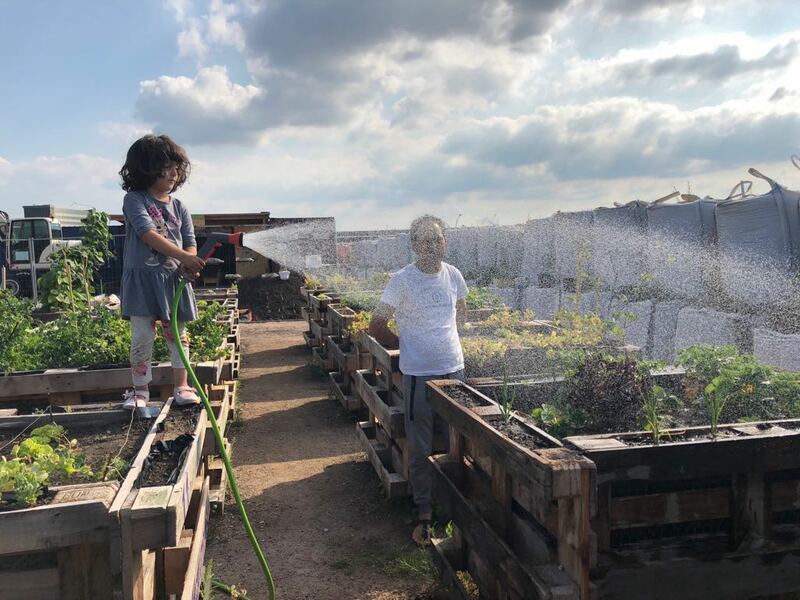 Collaboration between the two can be mutually beneficial: the grower finds a space to grow on, and the villa owner comes home to a beautiful, growing garden! Apart from experiencing the exciting transformation of a once empty growing space into a vivid and lively growing patch, collaborating with a grower could mean fresh produce harvested directly from your garden, a trusting and personalized partnership that could perhaps extend to other care services (for example, house-sitting when you’re away on holiday), and simply, just a friendly conversation to brighten up your day. In the Spring of 2018, villa owner Karin Wester, was matched with Frida Björkroth, through GrowGbg’s match-making service. The partnership allowed Frida to access the land whenever she wanted to, and to be able to use the land to grow her food for free. She also had the freedom to use all the tools available, and had much flexibility in how the land could be used (for example, lowering the height of the hedges, removing bushes, or digging up a vegetable garden). In return, Karin benefits from having someone present at her villa from time to time, since burglaries have happened in the neighborhood. Sometimes she receives a little bit of the harvests too. In addition, when Karin was away on holiday over the summer, Frida has also aided her to mow the lawn. Do you grow yourself or do you hope to start growing in the near future? 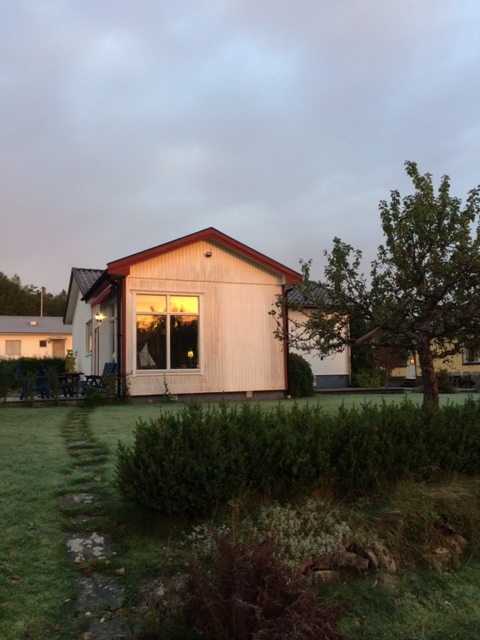 We mostly grow at Tjörn, where we have a summer house. What was your main inspiration to having someone come in and grow in your garden? We had too much garden space to take care of by ourselves, and that we thought it could be enjoyable to have someone grow with us. What do you, or Frida, grow in your garden? Frida has grown potatoes, beans and onions, and we grow some spices and flowers. What do you do with the harvests? We eat it and pick the flowers. Sometimes we exchange a little bit of our harvests. How often do you both garden or grow together? We have not yet grown together, but we chat a little bit every time we see each other and we have had fika a couple of times together. How much of the land does Frida grow on, and how much do you grow on? Frida has grown on about 50 sqm, while we grow mostly in some pallets. How has the experience been so far with having a grower grow on your land? Only positive experiences. We have recommended this to many of our friends! In your opinion, what would you say have been the biggest benefits and challenges to sharing you garden with a grower? No challenges at all, just joy! It is so nice to see Frida being happy and satisfied with the plot. She even helped us to cut our grass a few times. Do you also want to share your garden? If you are a homeowner who also wants to find a grower for your garden – add your potential farming area to growgbg.com by creating a free account and then uploading your garden via this link. If you want to know more about how it works, read this page on how to put up your land. Don’t hesitate to contact us, write to info@growgbg.com and let us know about your garden, or if you have any specific questions about the process of sharing your land.